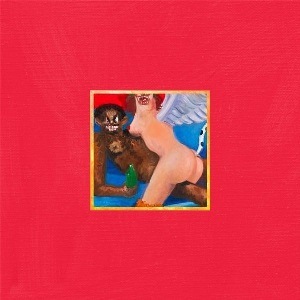 Easily the best album of the decade, My Beautiful Dark Twisted Fantasy is a journey through the psyche of hip-hop’s resident misunderstood genius. At first glance, Twisted Fantasy, Kanye West’s highly anticipated fifth studio album, appears to be every bit the anti-thesis of its anguished predecessor, 808s & Heartbreaks. Where 808s seemed melancholic and understated, Twisted Fantasy seems, at first at least, to be a return to a more conventional Kanye. However, long before you hit the half way mark, there is evidence aplenty to suggest that this album is nothing like Kanye’s previous efforts. There is a dark, sinister undertone to every track in the album which when supplemented by Kanye’s rhymes gives the whole album a rich, surreal, sound. 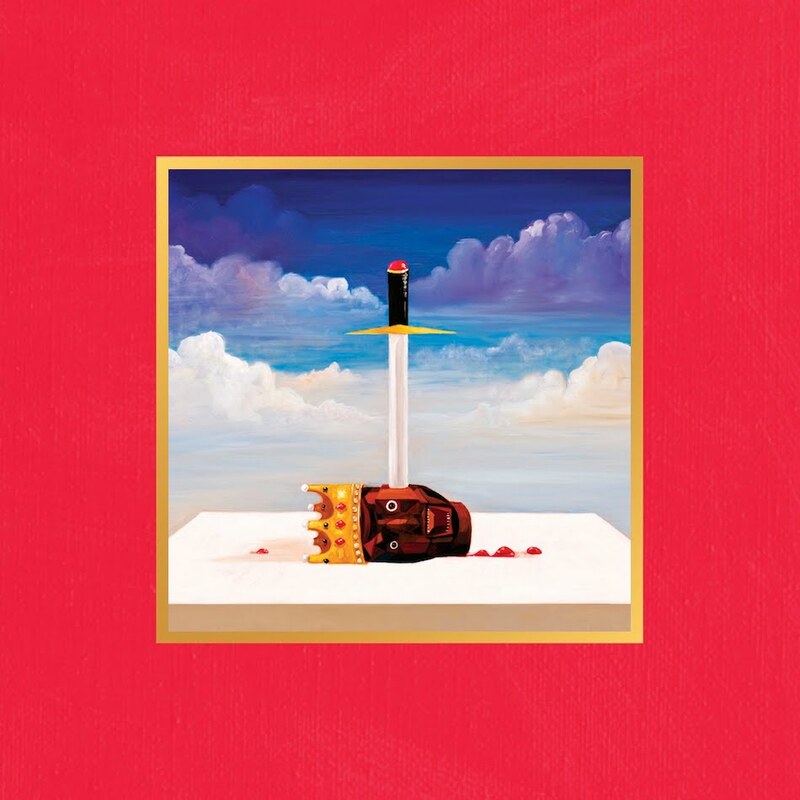 The titular beautiful, dark fantasy is the story that Kanye lays out in this album; a story of the rise and fall of a hip-hop superstar who began with plans to change the world but ultimately, tragically, succumbed to fame and its trappings and fell back into the depths he had once risen from. Mr. West might have prided himself in the past on delivering the hard truths (see the Hurricane Katrina and Taylor Swift incidents for examples) but never before has he been this brutally honest to both his listeners and to himself – this album is Kanye baring his soul to the masses and the final result is an absolute classic that is equal parts bravado, reflection and regret. Yet, behind the introspection, and the newfound self-awareness is an insistent defiance, almost like a challenge to the rest of the hip-hop industry to try and outdo what Kanye has accomplished with this album. Thematically, this is an album of three parts. The first three tracks form the lively opening section that’s very reminiscent of the ‘old’ Kanye. ‘Dark Fantasy’ and ‘Power’ are both amazing, full of energy and fast-paced as Kanye lays out his dreams for the future and reaches the height of his success. By the next three tracks, ‘All Of The Lights’ in particular, cracks have begun appearing in Kanye’s fantasy as he finds it harder and harder to find happiness in his success and domestic troubles surface. These tracks are still fast and lively but there is an unmistakable undertone of unhappiness to them which let them lead perfectly to the final section. This final and longest section describes Kanye’s slow but inevitable downfall as he takes refuge in substance abuse and his relationships begin to fall apart. The tracks become slower, darker and lose all hints of optimism that the opening salvo had while Kanye conducts a close examination of just how he managed to sink so low. While there are topics like the nature of success and failure, the implications of fame and the duress it places on a relationship discussed in the album, Kanye himself is the central topic of discussion in Twisted Fantasy and indeed is the subject of almost every song. The album has a wide range of different sounds, unlike Kanye’s previous efforts which tended to have one or two musical motifs run through each track. Instead, Twisted Fantasy is more of an exploration of different sounds with each track painstakingly arranged with a menacing gloom permeating the album as a whole. That this album is a musical gemstone should come as no surprise since its creator has been almost single-handedly responsible for raising the bar of hip-hop production for more than a decade. Fans have long held Graduation as the pinnacle of Kanye’s abilities as a producer while College Dropout is accepted by most as Kanye’s most lyrically deft work. My Beautiful Dark Twisted Fantasy blows both albums out of the water in both aspects, making them very ordinary in comparison though all three albums are different enough from each other that fans will be able to appreciate each for different reasons. The lyrical strength of this album is somewhat surprising given that Kanye has never had the natural flow and comfort on the mic that have been the hallmark of all of hip-hop’s greatest MCs. As a producer-turned-rapper, Kanye’s rapping abilities have unsurprisingly remained in the shadow of his talent as a producer and this album does still to change that though it is more a testament to the quality of production album rather than an indictment of his ability with the mic. Nevertheless, while Kanye’s lyrics remain as cleverly filled with references, puns and wordplay as before, raising his lyrical flow to whole new level. In fact, this album marks the first time he has consistently outperformed his guests, a feat that is all the more impressive given that some of hip-hop’s heavy weights like Jay-Z, Raekwon, Kid Cudi and Pusha T have all contributed to the album. These guest stars are as diverse as they are numerous – there are the expected (Jay-Z, Rick Ross, Kid Cudi), the unconventional (Nicki Minaj, Fergie, Raekwon) and the downright strange (Bon Iver, Elton John). It is to Kanye’s immense credit that he has been able to weave each artist’s style organically into the album, drawing the best from the large majority of them in the process. These guest stars are actually part of an interesting duality in the album – for all the deep introspection and unprecedented access to his psyche that Kanye offers here, the album is still every bit as much a commercial effort as it is an artistic one with almost every other song pre-packaged to be club rocked and radio ready. Perhaps that is Kanye’s magnum opus’ single greatest accomplishment – he has created an album that has widespread mainstream appeal but is still able to retain its soul. This album would have made an incredible swansong; it seems impossible that even Kanye West has the talent to top this effort.